» Portfolio » Paraninfo building. University of Zaragoza. Spain. Paraninfo building. 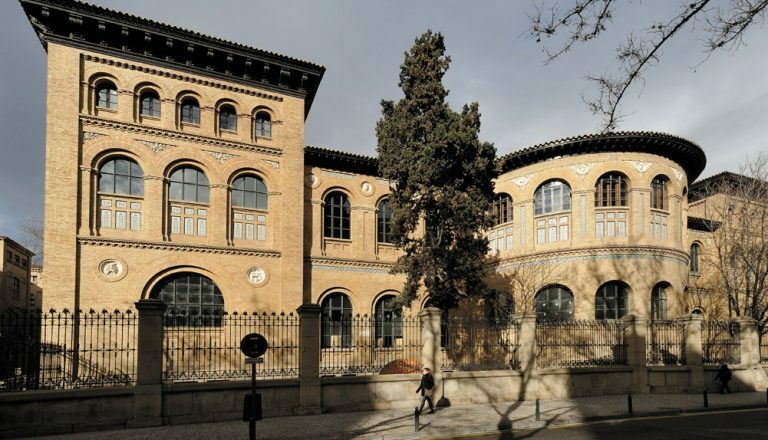 University of Zaragoza. Spain. 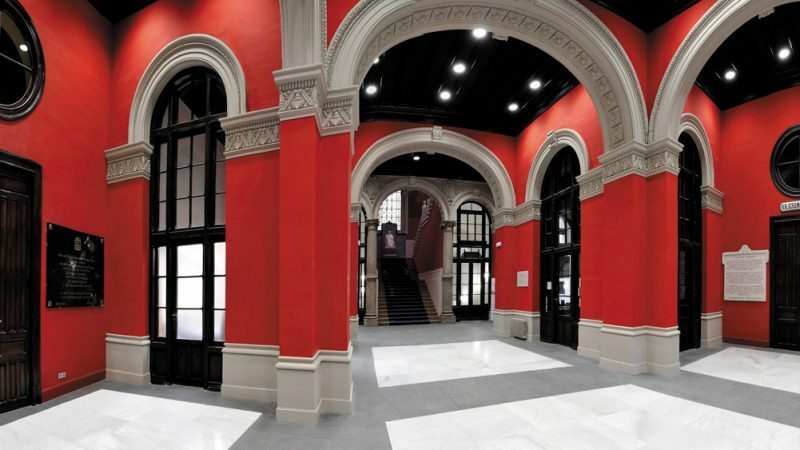 The works include the full restoration of the Paraninfo Building of the University of Zaragoza. On the exterior the brick façades will be cleaned, the metal carpentry will be changed, the perimeter fencing of stone and wrought iron will be restored and the floorings changed. Also a new installations room will be built below the current car park area. In the interior a new basement will be excavated in the only wing which has one, partitioning will be demolished giving a new shape to the basement to adapt it to new needs, and the floorings and claddings will be changed. Also the interior carpentry will be changed or restored, depending on its value and condition. On the first floor new arrangements will be made in the large rooms existing, by partitioning of profiles hung with wood panels and glass areas. 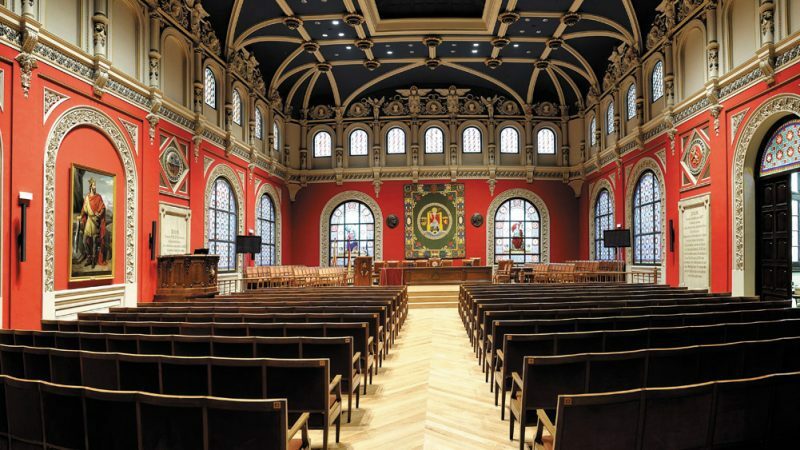 The furniture of the largest classroom will be changed to adapt it to new ergonomic needs and convenience. With reference to structures, some of the metal structures and beams will be reinforced, there will be a new metal and sheet structure for the ceiling of the new basement and on two mezzanines in the corner modules. Also the existing staircases of access to the viewing tower will be demolished and replaced by others which will be accessed from the ground floor, creating a new form of communication between ground and first floors.